We have launched a Facebook fan page for you to keep up to date with practice news, events and new exciting developments we are rolling out through 2012. 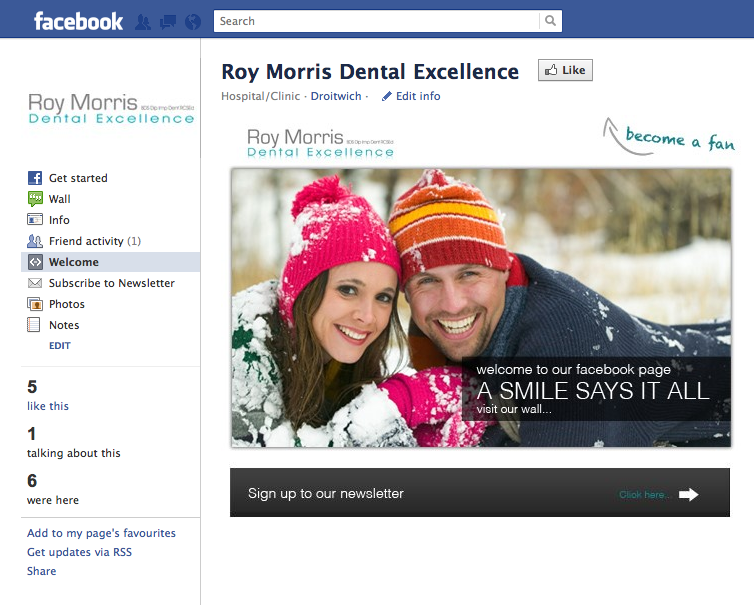 Pop along and take a look, if you are a fan of Roy Morris Dental Excellence add the like button to add us and follow what we are up to. We look forward to seeing you on Facebook.